Ready to paint the town red, San Francisco style? Then look no further than the regally red-suited beefeater doorman extending a warm welcome in front of the grande dame of Union Square hotels, the Sir Francis Drake. 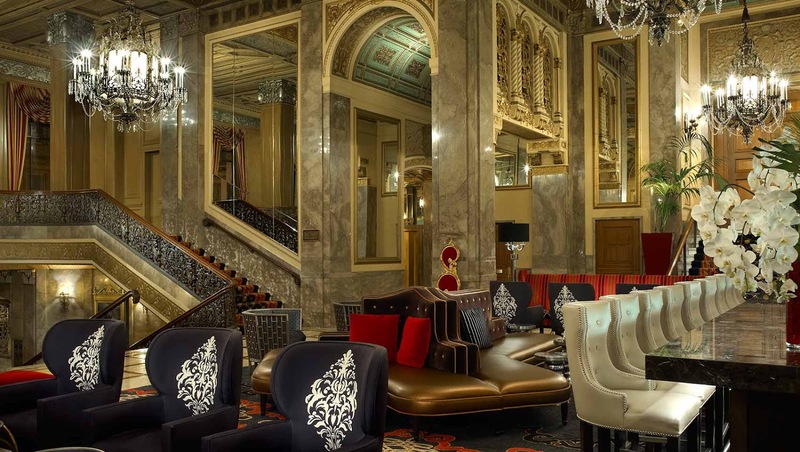 Anchoring one side of the city’s renowned cultural and entertainment crossroads, this is where ornate Renaissance-influenced architecture creates a graciously gilded ambiance paired with genuine Kimpton hospitality. Add elements like a lobby bar evoking speakeasy swank, culinary mastery spiced with an Italian accent, a storied nightspot and suites and guestrooms appointed with eclectic Edwardian style and you have your wish-list fulfilled for the ultimate San Francisco stay.